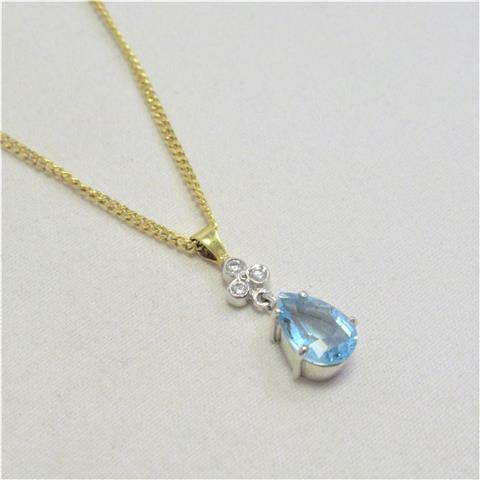 A pendant is a piece of jewellery which can be of the most petite beauty but have such a captivating look when worn. 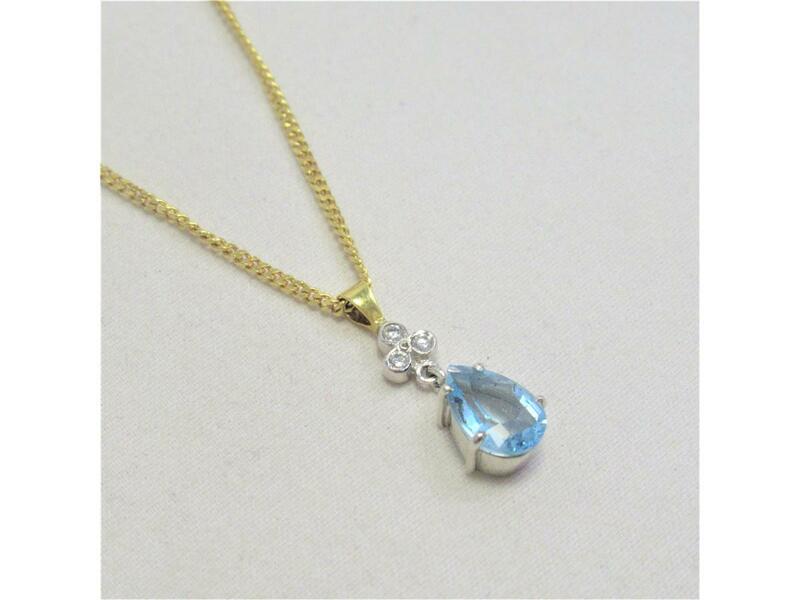 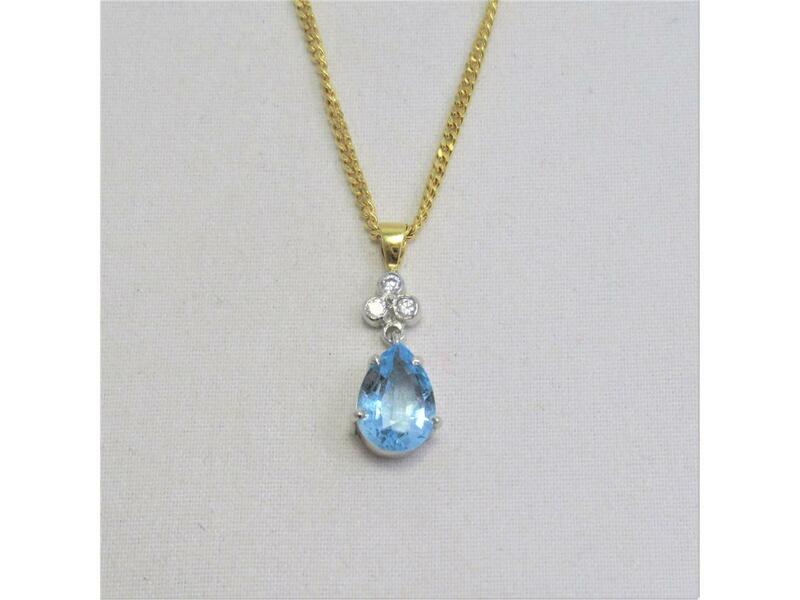 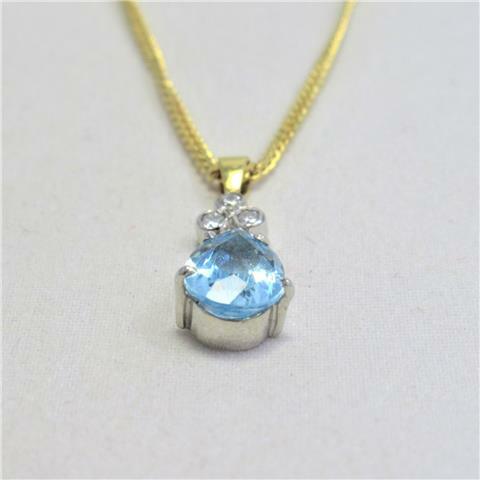 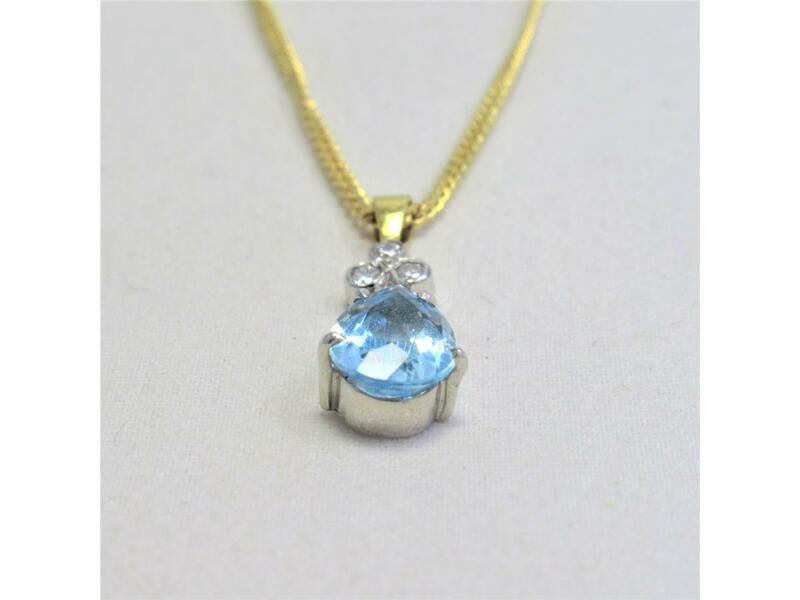 The simple elegance to this gorgeous aquamarine stone pendant is something of a marvel. 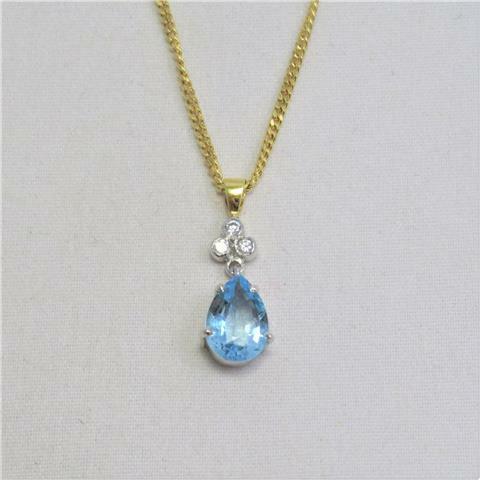 complete with 3 bright white diamonds above the aquamarine, to really bring out the display of colour and fascination within this pendant.